Northwest Dive Club found its start as a convenient place to find buddies to dive with. Help us help you find the right dive buddies by letting us know a little about you. Hopefully, you've already gotten started by introducing yourself. Now, provide some specific information so that you can find a dive buddy or group of dive buddies. 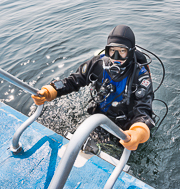 - What is your current level of experience (number of dives, certification level)? - Are you new to the area or new to diving cold water? - What type of diving are you interested in? - When are you available to go diving? This is a non-exhaustive list and just a few ideas to get you started. The more we know about you as a diver, the better you'll be matched with someone else. Welcome to Northwest Dive Club.